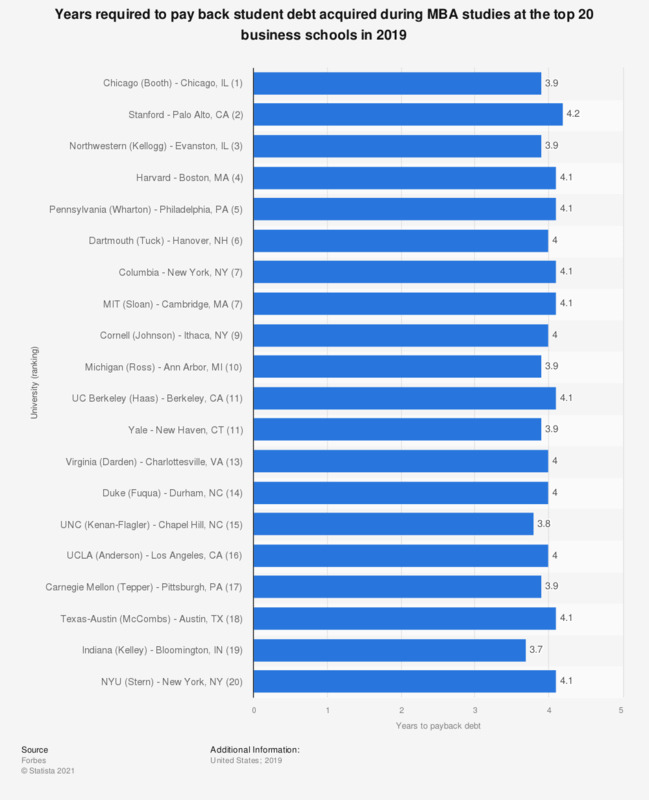 This statistic depicts a ranking of the best business schools in the United States in 2017, as evaluated by Forbes. The figures show the variable of years needed to payback student debts. In 2017, Harvard Business School in Boston, Massachusetts, was ranked as the third best business school in the United States. It was estimated that it would take four years to pay back the debt incurred after having studied at this institution. These figures are calculated from the class of 2012.